Tyres are imperative to the safety of the driver, passengers as well as other motorists. Therefore, being knowledgeable about tyres is important, which means you need to know how to choose the right tyres for your car, how to look after them and when you need to replace them. You should have your tyres checked on an annual basis by a reputable tyre specialist and also remember that the age of tyres is measured from the date it was manufactured, not of purchase. Age does deteriorate your tyres regardless of whether or not you drive on them. Even if they don’t look worn it is advisable to replace them every ten years. Also remember that worn tyres are dangerous and could cause a serious accident if they puncture or burst while you are driving. Take note that postponing the replacement of worn tyres can mean having to pay a fine on top of the replacement costs. Tyre tread should not be less than 1mm deep and the fine for contravening this regulation is a maximum of R500. According to the National Road Traffic Act (Regulation 212 (e) it is illegal to operate a vehicle with worn tyres. Inadequate tread also means that braking and road grip would be problematic, therefore increasing the chance of accidents, because the danger is particularly heightened in hazardous conditions. Also make it a habit to check your tyre pressure weekly (as well as the spare tyre), and at the same time examine for wear and tear. 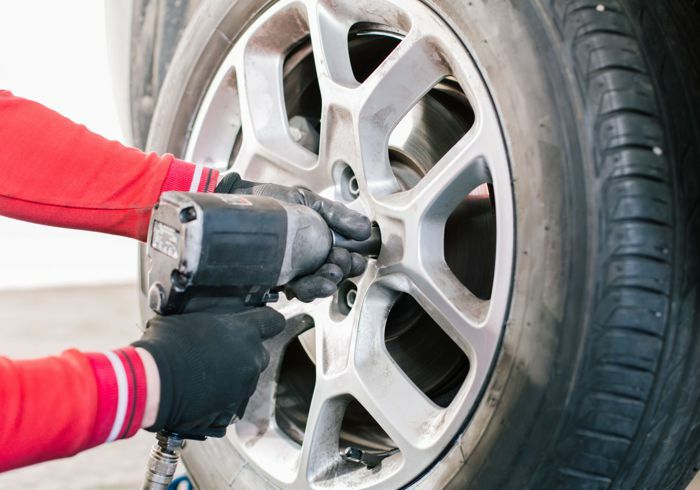 If the tread is too thin or there are any other signs that the tyres are not in good condition, it would be advisable to ask a reputable tyre specialist to check the tyres. Always remember that your tyres are your permit to safe driving – it makes sense to care for them.